Not impressed by Siemens; I’ve just replaced both a washing machine and tumble drier which broke down within months of the 5 year warranty lapsing. Personally, I will avoid Siemens and have now switched to AEG having been impressed by the build quality. The washing machine I ordered was from John Lewis for £679 and has comparable specs (if not better) than the one above. 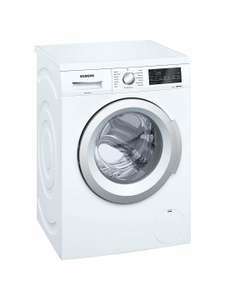 Siemens IQ500 washing machine now reduced by £130 and comes with Siemens 5 year Warranty and free delivery! At £429 it's a real steal!! Oh boy - you're probably right! Too much emotional attachment to hours of product evaluation!! So I missed out &#x1F625; Amazon could not replace. Now have to wait 12 months for the next model change / stock clearance but I'll probably be screwed by Brexit on tax &amp; duties. Boo boo! Oh jeez. Seems like I'm one of the lucky ones... 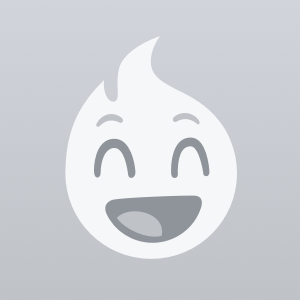 I checked it today and it is fully intact! Just been tracking mine and it’s in its way back to Germany before even being delivered to me due to damage!! I would definitely unpack and check - since my disaster, I have read that many customers in Germany have suffered broken devices on arrival. &#x1F630; As Amazon couldn't send a replacement, I'm returning a box of shrapnel for refund and ordered an alternative Siemens Hob without the bevelled front edge - same price - but asked them to be sure of adding fragile stickers. Good luck! Siemens like most brands arent the same as they used to be, plastic drums are common, and cheaper components. The bearings went on my sisters after 4 years of light use. luckily it was covered under the guarantee. Nope. I have done it myself. I think installation is payable service you can choose at the checkout. Hi, did JL disconnect the old machine and connect the new one for you? Just got mine delivered. Because the code was not working at the time I was ordering I was refunded £100 and extra £19.95 for next day delivery. Great customer service from John Lewis. Just as well get the cheaper Bosch version WAN28201GB. This has a splittable tub, which means you can replace the bearings if they wear out. A lot of the newer Bosch/Siemens machines, even many of the expensive ones, do not. I was looking to buy a new machine to replace our now nearly dead 11 year old Bosch, and was shocked how many of the higher end ones have sealed tubs. If the bearings go you have to buy a whole tub/drum assembly at high cost. Of course if the bearings last 10 years+ then it probably doesn't matter, but, alas, I expect a lot will not. Good, not great, machines. I'd say the same about this deal. Not usually, just sometimes they do when there is a promotion, and this isn't one of those times! There is a 10 year warranty on the motor though, but that just means you are tied to using the company for repairs at high cost if it goes wrong. My last Siemens machine lasted 12 years though, they are as good as you get, but like most things now, not a good as they used to be. Genuine Neff/Bosch/Siemens oven shelves on a 3 for 2 offer. Ideal if you've recently bought their ovens to find you only get one shelf with the oven. £44.64 for 3, free P&amp;P Sorted for you Andrew. Andrew, you need the price. 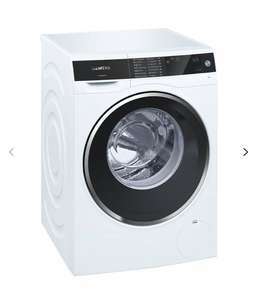 If you can afford it and want a good quality washer and dryer, then this is a very good price for this product. Yes direct drive is a good thing indead. Less parts means less faults. Belts are the first to go as well. I wonder if my hotpoint is DD quietist one ive ever heard. First i used. Thought it was faulty. Brushless motors are far better than brushed. They consume less electricity and last 10 times long or so as they use magnetic instead of brushes to energise the motor. They are far quieter as well. Will have to look out for DD from now on. I wish they gave this info on the shops website. Id pick LG or Samsung over Siemens usually but Hotpoint make good washing machines usually as well as they have experience in them. I wouldnt buy hotpoints fridges though. Last one my parents bought, fridge dept wasnt that cool 10c i think it was. Yet the freezer bit was well below whats needed. The chief disadvantage of direct drive is that there is a very heavy motor on the back of the drum, putting much more strain on the drum bearings. Does the motor warranty include the bearings? If you exclude those, there's very little that can go wrong with it - it's simply a set of electromagnets. Yes, LG machines might be well-balanced, but that doesn't exclude other machines being well-balanced too. Putting the motor on the back rather than underneath would make no difference to that. Similarly, a common misconception is that on conventional machines the belt is noisy. It's the brushed motor on cheap conventional machines which is noisy. We've already discussed brushed motors. Direct Drive is where the motor is placed immediately behind the drum and is connected straight to the drum without any additional belts etc. Most washing machine motors are placed in the bottom corner of the machine and have a pulley and belt system to drive the drum. This can add weight / potential points of failure and added risks etc. It's not a bad system, there must be millions of washers like this, I personally reckon DD is better. My LG has a DD motor and I have to say it is very good. It is also quiet and very stable when spinning. I think the advert on TV used to balance a 50p piece on its edge as a test. Trust me that won't work on mine, but it's still very good after 7 years. 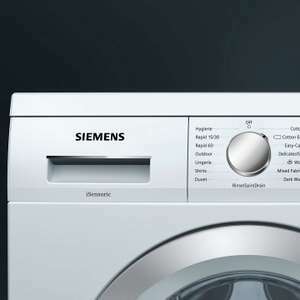 In all fairness the above washer looks to be pretty good (It has a brushless motor which is quite good, but not as good as DD in my opinion) and I would seriously consider the above Siemens, especially with the included warranty. However, having had an LG for a good while now I'm very impressed by them also. Plus LG have consistently given 5 year parts and labour and a 10 year motor warranty (which might be expensive being DD and quite special so not very generic) so this ticks my box every time. These Siemens washing machines are typically near identical to the bosch units but with a shiny knob and different cycle options. So should be very reliable. Silicone and a good design. Slotting together etc. There is always a way. If they the manufacturers have to fix any within a year it would probably be swapped out. Transportation costs etc Less spares being sold = less pofit as well. There would be costs if they had a faulty part that affected a whole model range. Short sighted strategy rarely saves money and it will damage their brand in time. Wouldnt take much to explain about the drum. Servicable versus unservicable. Hopefully sealed drums will be banned by governments. Or public will cotton on with the help of the usual groups which advise them. Cheapest I can find this. Not many microwaves that look the part and fit into a 300mm recess. 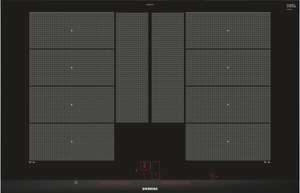 800w, 20l capacity. £320+ elsewhere, £275 refurbished. Thanks, got this deal when our Indesit packed in over Xmas - good quiet machine so far. Has presumably been updated to the newer WD14H421GB which is 699 in John Lewis but looks identical. Looked like a great deal. Currently expired. Yes, but it's not often Bosch products come with as much warranty as this, unless you pay extra for it. Siemens is the same stuff as bosch in case people get wet pants from this. Price is showing as £579 so £529 with the code. Am I missing something or have they put it up? My quandary too. Just remember that JL, as good as they can be sell own brand white goods which are AEG manufactured, and NOT reliable - and you will be stuck with the hopeless "Serviceforce" repair "network" so don't be tempted by them if you expect reliability. I got significantly compensated from JL, but it was still a genuine nightmare with one of their own brand Heat pump tumble dryers! Needless to say the washing machine won't be one of theirs, but I am under no illusion that Siemens are anything like as good now. this seems a good price deal?? I actually ordered a slightly more expensive model yesterday that has 1kg more on the wash and dry load. Turns out, that one is a slightly older model and this one is newer. Saved about £100 all together by cancelling that one and getting this. The Siemens stain removal program available on this washer is very effective. The payback maths only work if you do the standard number of cycles used to determine the annual consumption , 160 mixed full and partial loads. you also have to compare similar load machines comparing a 7kg with a 8kg does not give sensible results. bigger loads use more energy. Heap pump do not take twice the time, but how long it takes is not that important if you are organized. the 2 machines in above post the standard cycle comparison is 7kg/1.65kwh/178m 8kg/4.49kwh/129m Most heat pump machines are often far more efficient at condensing so put less less moisture into the room.this Siemens one is 86%, good heat pump machines are over 90%. more maths ... if you add the Siemens price of ,£399 and add the running costs over five years (£33.92 x 5) the total is 568.60. looking at the Beko condenser DCU8230W it has a 561kWh B rating £229 from John Lewis with 2 yr warranty. run cost 561x0.16=89.76 per year, times 5 = 448.8. 229+448.4 = 677.80 total cost, less the Siemens total gives a difference of £109.20 over five years or, 21.84 per annum saving. I went for the Beko as 20 quid a year is worth the Lower investment cost and having something dry twice as quick. This comes with a 5 year warranty included, as received by written confirmation today.Apply via Siemens website. So therefore over the 5 years of free warranty you will save £320 from the last post's calculations over a B rated condenser dryer. "It's not the machine to buy if you need fast dry times, it's more for gentle, energy-efficient drying." Very true. HUGHES3 doesn't work, however £449 on eBay delivered. We're like you, both out of the house and 3 children. A dryer is essential for us, and on maybe 3-4 times a day during the weekend therefore needs to be economical and come with warranty. I like the Siemens self- cleaning thing, should mean there is no need to remove anything but the water tray. Geodogger - have sent siemens custoner services an email this morning. I've had a Beko heat pump which has packed in after 4 years, which is not too bad. But really want something with a 5 year warranty, so it's another Beko from Co-op which can be had with Co-op purchased warranty for £405 - not too bad considering how much washing we do if I get 5 years out of it. There also Grundigs available from currys with 5 year warranty coming in at £469 - but usually can find a voucher for currys to bring it down a bit. BTW Beko owns Grundig, so I'm not sure if there's any real difference in the tech under the hood. I will let you know if I get an answer from Siemens. Using a clothes horse at the moment - for a family where both adults work full time air drying is not where its at! Did you get a response on the warranty query? You could contact the number below. I have a Candy Condensor Dryer which is causing condensation within the house. Were looking for another dryer and this is an ideal upgrade with the A++ rating &amp; 5 year warranty. Do you walk to everywhere instead of getting bus or train or drive? When you could easily afford a dish washer and afford running it and when you have an actual life and family, you would want to buy a dish washer too. Home Bargains have similar (different brand) instore, and I think they might be slightly cheaper. I bought a couple last year and am happy enough with them. checkout Friedland Libra the best. also has the option to add a pir sensor. Brilliant brand second to Miele. If not for you they would of had another sale thank you for posting this. I use the speed perfect most of the time. Cuts a 2 hour cotton wash down to 1 hour 3 mins. It also has a mixed load which only takes 45 mins. I have a similar machine to this and VERY pleased with it. Ordered I was considering the Samsung, but after checking out the build quality of these machines it far surpasses the Samsungs! Also has less to go wrong considering the amount of bells and whistles samsung models have!